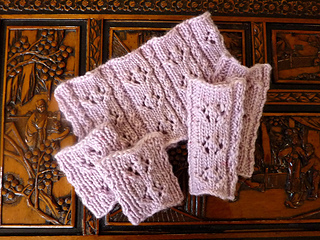 I was inspired to design this cowl and cuffs set by the beautiful Sakura yarn that Knitted Wit dyed as a fundraiser for Japan disaster relief. Sakura is Japanese for cherry blossom, and Hanami is the name for the spring cherry blossom viewing parties. These items are knit in the round. I especially like this cowl in a fluffy single ply yarn. 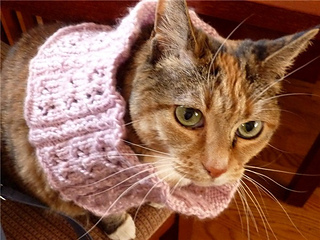 The Knitted Wit yarn is no longer available. Malabrigo Merino Worsted would be a good substitute.